Today I will introduce the best sleeping bag and camp set for autumn to early winter camping! A warm sleeping bag is good for those who are sensitive for cold. 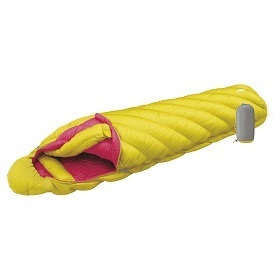 This “Alpine down hugger 800 # 2 / montbell” is the best sleeping bag for camping in fall to early winter. In this season, the difference of temperature is severe, and there are very hot days and cold days. In campgrounds where the altitude is not so high, we usually use # 3 from montbell, but I think #2 is better for those who are sensitive for cold than # 3 since the temperature is difficult to read in these season. This is a unisex model. 【Weight】 715 g (735 g) ※ The ( ) is the total weight including the stuff bag. “Down hugger 800 Women’s # 2 / montbell” is a model for women. ※ This rental item is available only for women. 【Weight】 713 g (748 g) ※ The ( ) is the total weight including the stuff bag. 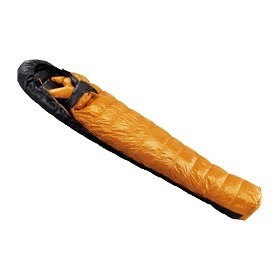 Isuka’s sleeping bag “Air 630 EX” is very popular because it is very well made and keeps warmth. There is devise in the enclosure method of down, making it difficult to escape the heat. 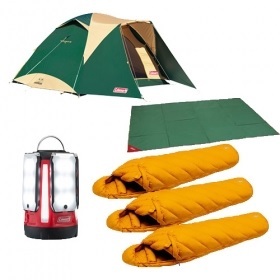 It is suitable to people who are sensitive for cold in autumn to early winter camping. 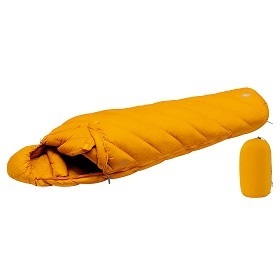 The sleeping bag of the popular “Camping set for spring / autumn” was upgraded for early winter appeared! It is already very popular. If you use a bit warmer sleeping bag and “Camping set for spring / autumn (protection against cold plus)”, you can feel more confortable! Gotemba premium outlets is very popular not only for Japanese but also for people from overseas. I introduce about Gotemba premium outlets in this article. Our shop Soranoshita Kawaguchiko has rental service of camping gear which is no reservation needed. Rental is useful when you suddenly decide to do camping. People who are not confident in physical fitness must see! What is the point to devise by Mt. Fuji climbing? Mt.Fuji is a mountain representative of Japan. Even if you do not like mountain climbing, you probably want to climb Mt. Fuji at least once. For people who say, "I'm not very confident in my strength, but I want to stand on top of the mountain of Mt. Fuji!" I will inform you of ingenuity to accomplish Mt. Fuji climb. We are pleased to hear reaction about the droproof, but we also hope to keep better wear condition longer as well as just after the water repellent coating construction. I'd like to check the ware used by customers and check them care and care for it but it is difficult as a reality, but by cooperating with customers, it is possible to recover a good state of water-repellent coating to a certain extent so we are explaining it here. How to select the tent type? Roughly speaking, there are 3 types in the tent types. Mountain Tent, Camping Tent and Touring Tent. We will teach you cach good points and bad points. The method of use "2500 North Star LP Gas Lantern".Today, we wrote about the method of use and the accessories. What spec of the backpack for mountain climbing. When you climb a mountain, can you bring a regular backpack? We recommend to use a backpack for climbing mountains. The backpacks for the climbing mountains have lots of the functions. The tips of preventing the Altitude sickness on Mt.Fuji. When you climb Mt.Fuji, you have to be careful some points. Of course you should think about the bringing climbing gears. But one of the most important things is the preventing altitude sickness. If you know that or not, your climbing is great different. So we'll teach you how to prevent the altitude sickness. The climbing season on Mt.Fuji starts from 1st July. But the weather won&#039;t be stability that time. Because the begin of the climbing season has been the end of the rainy season in Japan. Or perhaps it won&#039;t be end the rainy season. And Mt.Fuji is one of the single peak mountain. The complicated wind are created on the summit on Mt.Fuji by the wind from Suruga bay and Sagami bay and the north wind. The temperature and weather are great different between the summit on Mt.Fuji and 5th station on Mt.Fuji and the weather will change. So you have to check the information of weather.